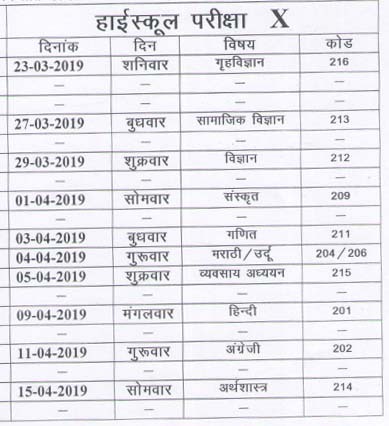 Chhattisgarh Rajya Open School CGSOS High School (10th) April/September 2019 Examination Time Table / Exam Dates PDF Download available from www.cgsos.in website. Chhattisgarh State Open School CGSOS conducting High School (10th Class) examinations from 23rd March 2019 to 15th April 2019. The first examination starts with Home Science paper on 23rd April 2019 and the last exam with Economics Paper on 15th April 2019. After writing the examinations the students wait for the results will be in the mid of May 2019. Examination Timings : 8.00 AM to 11.30 AM.